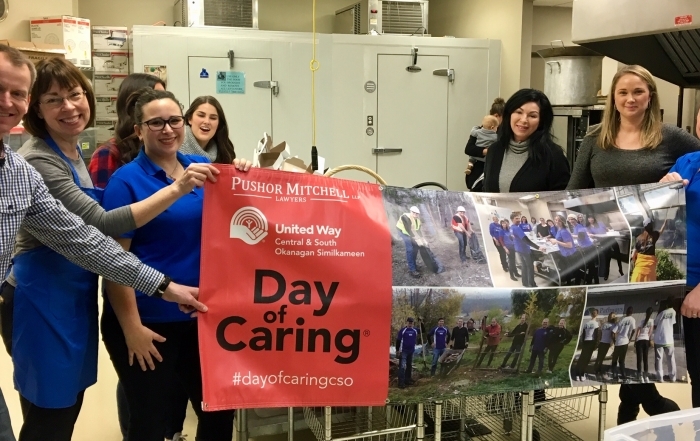 The Pushor Mitchell United Way Day of Caring® is a unique opportunity for employee, student or other volunteer groups to support local non-profit organizations by completing a project that the non-profit might not otherwise have the manpower or resources for. 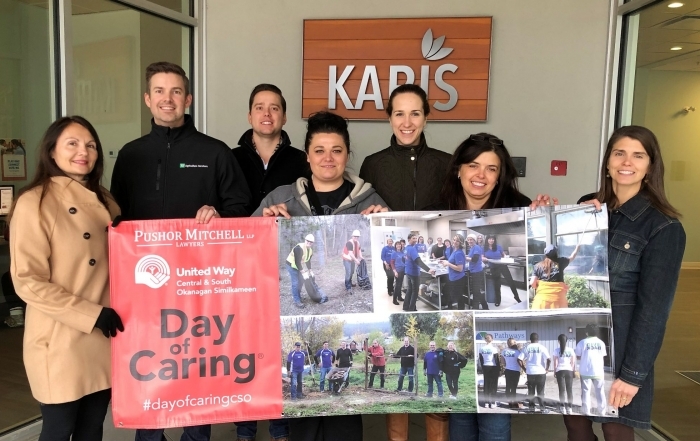 It’s a unique volunteer experience that gives employees or students a chance to work together in new ways and feel more connected to our community. 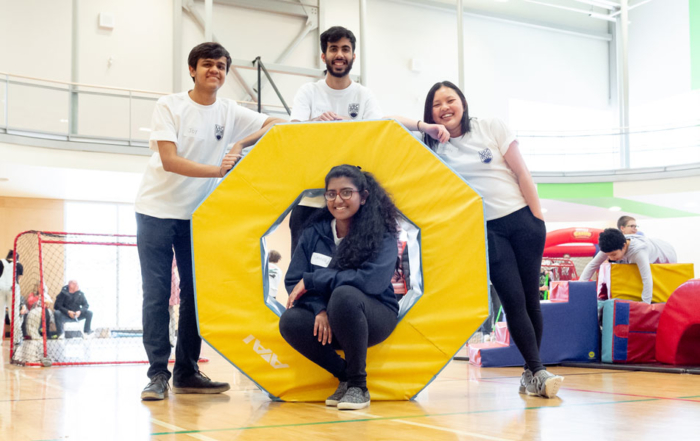 A great team-building exercise! 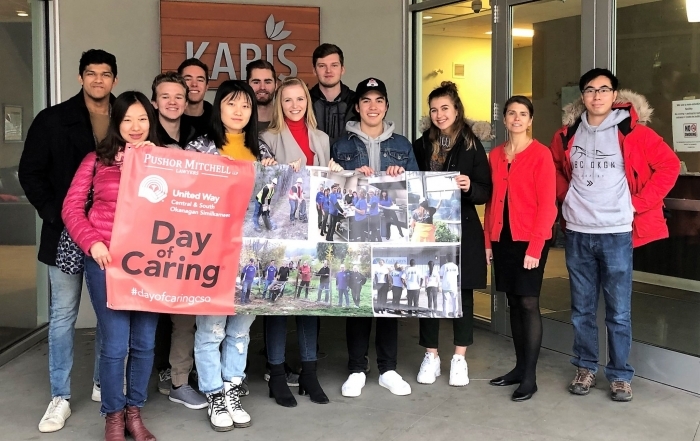 Learn more about our community’s biggest challenges and how we can work together to find permanent solutions to social issues. 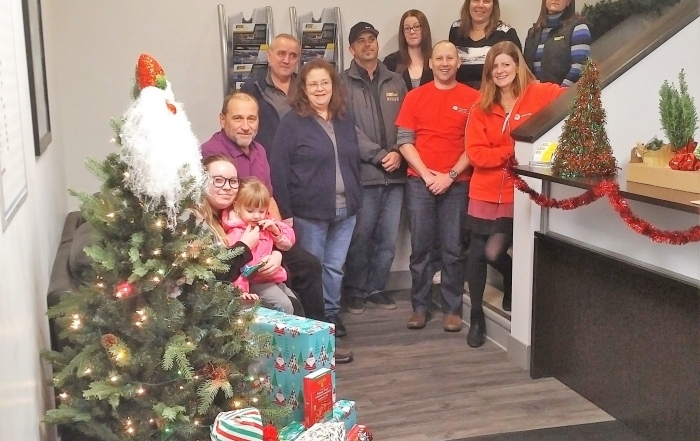 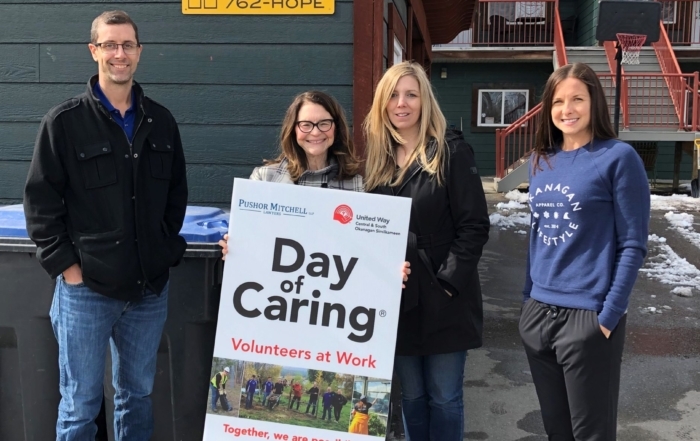 Volunteers will help strengthen a network of social programs and services that have a direct impact on the lives of one in three Okanagan residents every year. 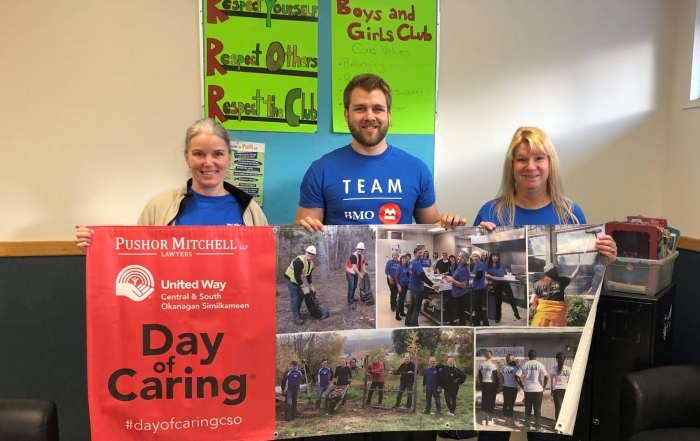 Throughout the year, workplaces and volunteer groups approach United Way SIBC to get matched with projects at non-profit agencies. 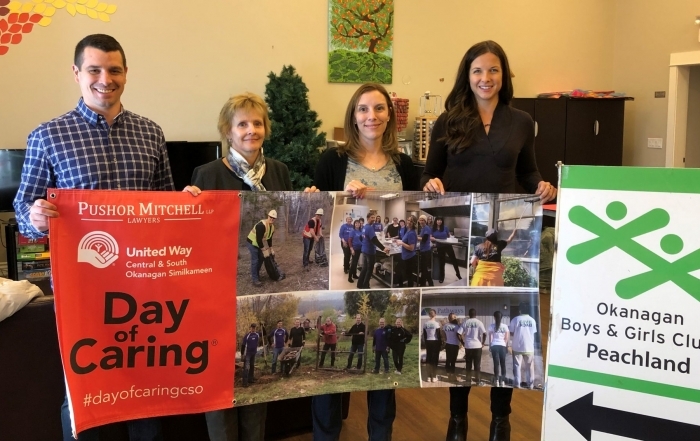 United Way staff then work with both parties to facilitate the planning and the event itself. 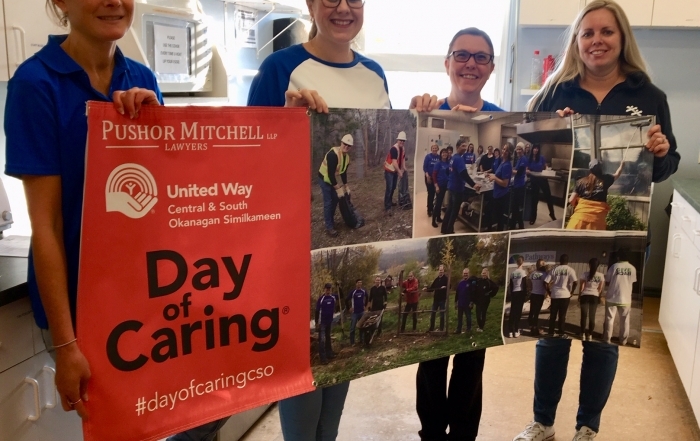 For more information or to arrange a Day of Caring for your workplace, please contact us or send an email.